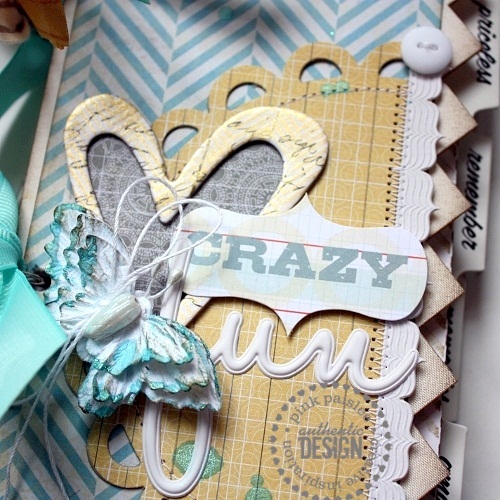 Whimsy by Shellye: Crazy Fun w/ Artisan! by Heidi Swapp. Let’s get started…there are quite a few photos to share! To begin, I started with the Artisan 4×8 Album Covers. I took a scruffy walnut ink pad to distress around the edges. The canvas-like texture of the covers really take on the ink well and allows for even blending. 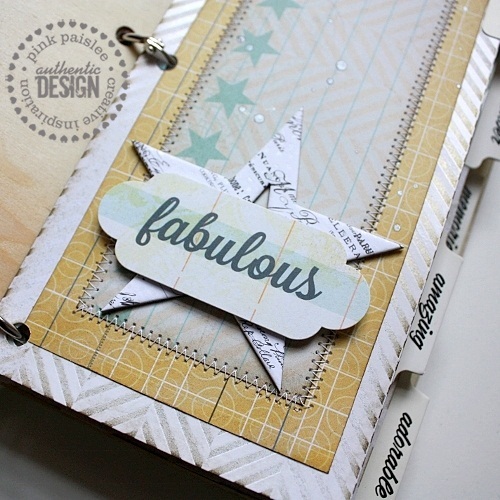 Next, I began layering and die-cutting different papers from the Portfolio Collection and then embellishing with an Artisan chipboard heart misted with Heidi Swapp Gold Lame Color Shine Spritz. For the Artisan butterfly, I removed the nozzle from the Tropical Teal Spritz and touched the tip of the ‘straw’ to the edges…this allowed a ‘wicking’-type of action…I love the way it turned out. For even more distressing, I brushed the edges with the same scruffy walnut ink pad. Before adding the remaining embellishments, I flecked on some of the Tropicana Teal to the doily shape. 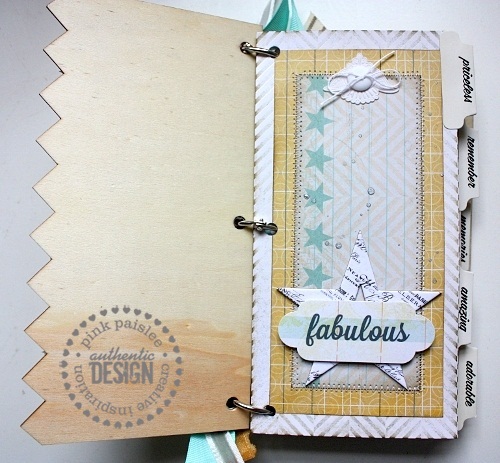 For the inner-workings, I used the Artisan Album Tab Dividers for the actual base pages. 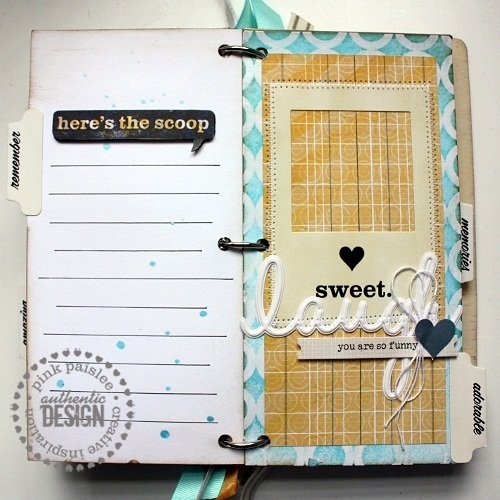 To each one I distressed with either Heidi Swapp Color Shine Gold Lame, Tropicana Teal or Tinsel by spritzing the page and then blending in with a soft cloth. I also inked the edges with walnut. I love the pop of black that the font brings! Using a ruler and black pen, I drew on lines for journaling to the backs of each page. I kept the design simple by distressing the edges with walnut, flecking on various colors of spritz and adding a label sticker or stamped image. After adding a little Tinsel Spritz to the butterfly, I centered a small Artisan star to the middle. A permanent black pen was used to color in the center of the star. 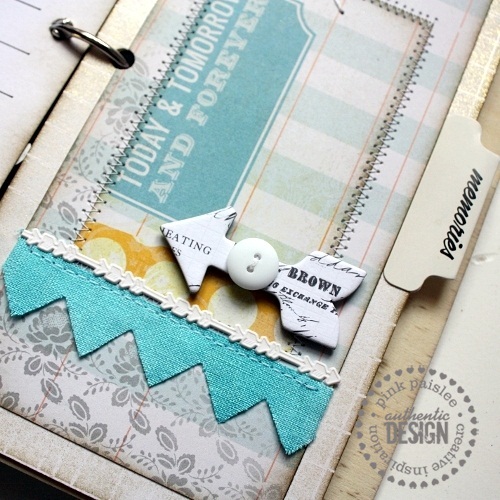 I used Tropicana Teal to color the background tab divider of this page. So many of the designs found on the Portfolio papers do the work for you! By adding just a few buttons and a Tiny Tab, the top is complete. I rubbed on a bit of Gold Lame over the Artisan chipboard heart and then attached it alongside the ephemera die-cut. Here I used one of the Portfolio Photograms, which will be the perfect spot for a 2×2 photo. After pressing the ‘laugh’ sticker into place, I did a little zig-zag stitch with my sewing machine. I’ve declared that inking the Artisan Ribbons is my favorite thing to do! I evenly spritzed the trim with Tropicana Teal and then allowed to dry before stitching into place. out and attached with foam dots. 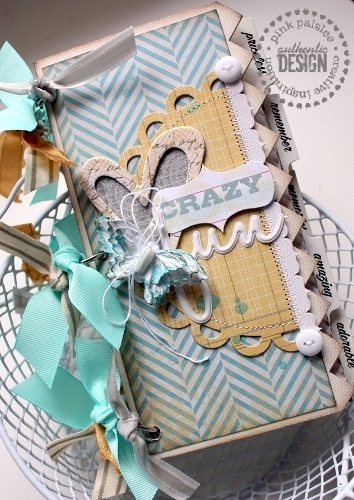 There are so many ways to dress up and transform the Artisan Albums into your very own unique art-work! 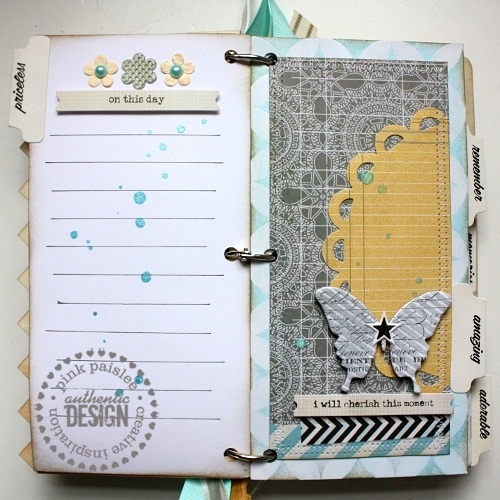 Add more pages to create a detailed Project-Life style journal. 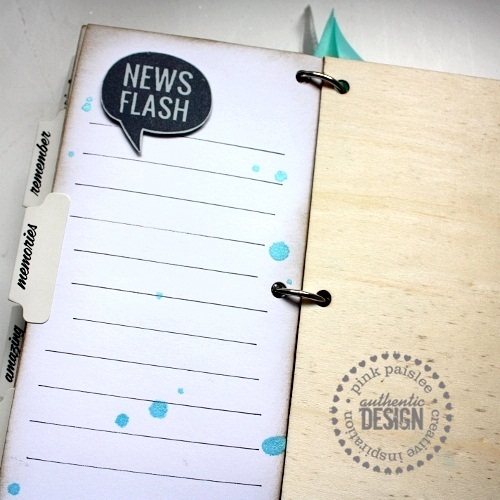 Add a pocket to the fronts of the tab dividers to customize a coupon or receipt holder. Tons of possibilities…enjoy creating! my daughters and I are sitting here admiring your album so much... the title, the stitching, just everything.... they said they would love me to make such a treasure as this, but it would never look like this, my dear friend! you are very talented! Beautiful mini album! I love the stitching and fun details!!! This is beautiful Shellye!! I love the stitching you do on your projects...always so pretty and perfect! I love this album! So beautiful! Really so very beautiful Shellye!! Love the stitching! Great mini album! I love it!